The new Miss Lamb Day Royalty, crowned on Saturday, March 18, 2017 at Fountain Green Elementary School are, from left to right: 1st Attendant, Olivia Hanson; Miss Lamb Day, Melanie Beck; 2nd Attendant, Denisha Ivory. FOUNTAIN GREEN — Winning the title that she competed for, and almost won, last year, Melanie Beck was named Miss Lamb Day on Saturday, March 18, 2017, at the Fountain Green Elementary School. Melanie Beck is the daughter of Wade and Judy Beck. Beck, and was an attendant to the 2016 Miss Lamb Day, Jordan Henson. Beck competed on the platform, “Go H.A.R.T. 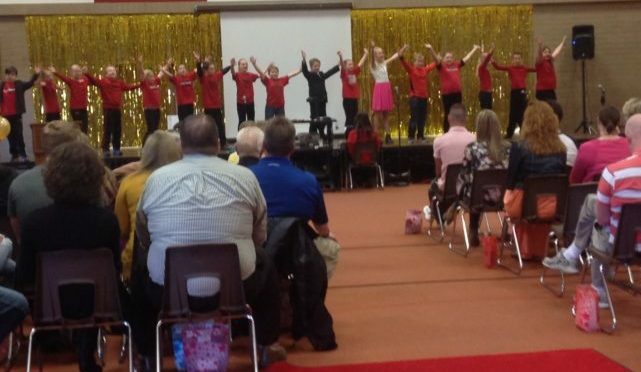 (Go Healthy, Go Active, Go Right Now and Go Together), and her talent performance was a contemporary ballet solo to the song “Negligence,” as choreographed by Lindsay Folkman. As Miss Lamb Day, Beck won a $600 cash prize, a $2,000 cash scholarship and a $250 Snow College scholarship. Olivia Hanson was named first attendant, competing on the platform “Patriotic Pride: Respecting Our Nation’s Flag” and performing the jazz dance solo to “It’s About That Walk” by Prince. Hanson is the daughter of Eddie and Elise Hanson. Denisha Ivory was named second attendant. Her platform was “Never Alone – Helping Others Understand Anxiety” and she sang the song “Gravity” by Sara Bareilles. Ivory was also named Most Photogenic and Miss Congeniality. She is the daughter of Brandon and Amy Ivory. As attendants, both Hanson and Ivory won a $350 cash prize, a $1,000 cash scholarship and a $250 Snow College scholarship. While Beck says she is proud to be named Miss Lamb Day, she was also very proud of her fellow contestants. The pageant was emceed by Miss Lamb Day 2016, Jordan Henson, and Miss Utah’s Outstanding Teen 2017 Addelyn Brotherson. 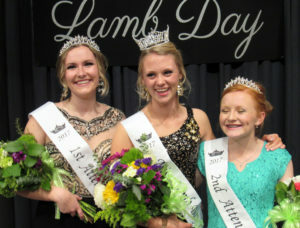 The new Lamb Day royalty will be reigning over the Lamb Day Festivities on July 14 and 15 in Fountain Green. 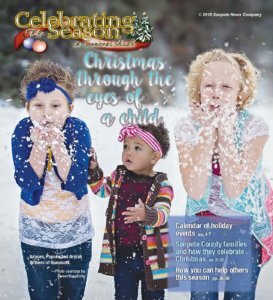 MANTI — The Sanpete County Commission is supporting the Fair Board’s decision to run its own craft fair during the Mormon Miracle Pageant in space on the fairgrounds it has rented out to the Ephraim Co-op for nearly 20 years. Jarrett invited Winter to sit in at the March 7 meeting because she knew that Fair Board Chairman Mike Bennett would also be in attendance, and she hoped to “clear the air” in light of a letter that Co-op leaders had written to the commission. Bennett said the issue had been simmering for quite a few years, but an altercation last summer had been the breaking point. According to Bennett, one of the vendors at the crafts fair instigated a “big fight,” which led to police and ambulances arriving. Based on the incident and on problems with the decorum of some vendors, other vendors had approached the Fair Board and asked it to take over the crafts fair, which has been held in the Exhibit Building on the fairgrounds since the 1990s. The board discussed the issue, and after a vote, decided to run the crafts fair itself. The board informed the co-op through a letter. Even though there is money to be made from the fair, money was not the main reason, Bennett said. The main factors, he said, were vendor quality and the incident last summer. Winter addressed the incident from last summer. According to her information, the person who incited the altercation was a mother defending her daughter. The mother, who was a Fair Board member as well as a Co-op member, became “very vocal,” Winters said. If any other members of the Co-op had been present, they would have tried to stop the incident, she said. But they didn’t know about it until later. “We can’t control what vendors bring in,” Winter said. Jarrett finally said that the commission would stand behind the decision of the Fair Board. MT. PLEASANT — Preliminary work is progressing on a project to expand Mt. Pleasant’s culinary water system, a consulting engineer told the city council last week. Robert Worley of Sunrise Engineering, the city’s consulting engineering firm, said a preliminary engineering report along with an environmental assessment are two to three months from completion, but Sunrise is ready to drill test wells to find the best locations for new wells. Worley was back in front of the council for the first time since last fall, when the council authorized Sunrise to go ahead with efforts to secure funding for a major water project. Worley had previously reported to the council that the city was facing a water shortage in its future and needed to find new sources of water or develop treatment systems enabling it to treat and use more of the water from existing sources. Worley said Sunrise had gone as far as it could on the engineering report and environmental assessment. The company will have to wait another two to three months for the snow to melt along the mountain bench east of the city to complete both studies. Sunrise’s engineers found several sites around Mt. Pleasant for possible new wells, Worley reported. The company’s hydrologists liked sites west of the town because of greater likelihood of water production. But those sites also come with the issues, including source protection from contamination and property acquisition. The sites to the east of town are closer to storage, would need less pipe and thus would be cheaper to establish. Worley emphasized that the real risks involved drilling for new wells. There is the possibility of the drill hole not producing sufficient water for the town’s needs. Treating the town’s current water sources would solve the short-term problems but would likely land the town in trouble in 20 years. If a new well can provide 1,000 to 1,500 gallons per minute (what Worley called “the mother lode”), then Mt. Pleasant’s water problems would be solved for the foreseeable future. If a new well only provided 300 to 500 gallons per minute (what Worley called “the most realistic outcome”), then a new well combined with treating current sources would solve the city’s problems. According to Worley, “Everything hinges on the well.” By drilling test holes, Worley said the city would be able to find out how much funding would be necessary to expand Mt. Pleasant’s water supply. If the well were very productive, less funding would be needed and treating current water would be unnecessary. By the same token, if the well were not as productive, then more funding would be needed to build a new treatment plant. The council approved a motion directing Worley and Sunrise to continue their efforts and to gather bids to drill test wells. In other discussion, Mayor David Blackham called on Monte Bona, a former councilman who now does administrative work for the city, for an update on the aquatic center. Bona informed the council that an application to the CIB for site work around the new pool had been denied. However, the Eccles Foundation had approved an $80,000 grant for aquatics center. Between the grant and funds on hand, there would be enough to do all of the site work, Bona said. Mayor Blackham mentioned that the site plan may have to be modified. The current plans call for a park to be created adjacent to the pool, but that may leave the facility without enough parking. “Parking may become an aggravating issue” the mayor said, noting that the church next door did not like splash pad users parking in the its parking lot. Bona said site plans could be easily modified to create more parking. He also brought up the possibility of using parking not at the site, such as at the recreation center. Councilman Dan Anderson asked why there was no digging at the site. Blackham said the city was only waiting on the contractor. Councilman Justin Atkinson later confirmed that digging would began the next day, March 15. On another topic, Bona updated the city council, which also services as the advisory board to the Community Development and Renewal Agency (CRDA), on various pojects. A developer wants to list the airport with the state as an active airport. His idea is to develop houses on the airstrip with attached garages capable of holding private planes. In 2003, the city received a Preserve America Great grant. The city used the grant funds to create entry signs on the north and south city boundaries, for a mural in the foyer of the library, and for a sign showing the map of the Mormon Pioneer National Heritage Area (MPNHA), which is on the front lawn of the library. Bona said creation and display of the MPNHA map was a condition of the grant. Recently, the library asked the CRDA to move the map to a different location. The CRDA advisory board voted to leave the sign in its current location. These illegally collected shed antlers were found after a DWR officer followed a violator’s footprints in the snow. If you gather shed antlers before the gathering season reopens on April 1 you could face a fine of up to $1,000. People who gather shed deer and elk antlers as a pastime have had to put their hobby on hold until the Utah Division of Wildlife Resources (DWR) antler gathering ban is lifted on April 1. But if you want to beat the other collectors to the prize antlers, you’re going to have to jump a few extra hoops. For those who wish to resume antler gathering between April 1 and April 15, you must complete the an antler-gathering ethics course, the DWR announced recently. The free course takes about 20 minutes and is available at www.wildlife.utah.gov/shedantler. After completing the course, you must print your certificate of completion and carry it with you while gathering antlers. If you don’t, you could receive a citation carrying a fine of up to $1,000. Getting a citation for gathering antlers during the DWR ban is a very real possibility, says DWR Capt. Mitch Lane. As of March 21, 26 people had received citations for violating the ban. 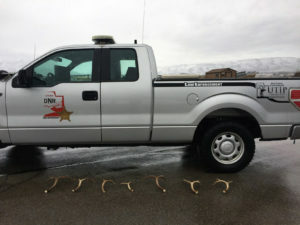 DWR conservation officers are working on another 35 cases. “We know people are anxious to get out and gather antlers,” Lane said, “but you can’t gather them until April 1.” Even then, to go after all those shed antlers just lying there waiting to be picked up, you have to have completed the antler-gathering ethics course. After April 15, the course is no longer mandated and it’s open season on shed hunting again. Although plenty of people have paid for being impatient over antler gathering, on the whole, Lane says most of Utah’s shed antler enthusiasts have obeyed the ban. And that’s helped big game animals—especially deer—tremendously. If you’re in the backcountry before April 1 and see someone gathering shed antlers, call the UTiP hotline at 1-800-662-3337 (DEER). The line is staffed 24 hours a day, seven days a week. MANTI —The Sanpete County Commission, sitting as the Sanpete County Municipal Building Authority (MBA), has approved purchase of bleacher sections to create a new grandstand at the county fairgrounds, but with some conditions. The MBA passed a motion to go forward with purchasing the seating from a Minnesota company so long as an engineer inspected the stands in person before shipment. The authority also made the purchase conditional on Sanpete County Attorney Brody Keisel approving an agreement between the county and the Minnesota company spelling out responsibilities for shipment and liability for damage. In presenting the item to the MBA, Steve Lund, the authority president, emphasized Sanpete County needed to move on purchasing the bleachers quickly because other parties were interested in them. The Minnesota company salvaged the stands from two NASCAR race tracks that are no longer in use. Use of the seating will cut the cost of building a new grandstand from $859,000 for a grandstand only, to $850,000 for a grandstand, lighting and supplementary bleachers around the arena. STERLING — Sterling Town Councilman Curtis Ludvigson warned his fellow council members at their recent meeting that they had to move quickly on the city’s plan to apply for grant money from the USDA Rural Development. While the town still has another undamaged spring and a well, the council is concerned that on-going development in the town would eventually mean a shortfall in the water supply. The town already was approved for a $300,000 loan from the Division of Drinking Water last year, which they have until December of this year to utilize. However, the council would rather gain approval for a grant from USDA Rural Development for the same amount for the same project rather than pay back a loan of that size. To complete the USDA Rural Development grant application, the town council still needs to complete a preliminary engineering report and an environmental assessment. Ludvigson theorized to the other council members that the town could use some of the Division of Drinking Water loan to pay for the two reports, without using all of it. However, whatever the council decided to do, he said that they need to move quickly. The council agreed to continue to look into the issue but did not take any action on it at the meeting. MANTI — The Narrows Project is breathing its last gasps. After receiving the updating report from engineer Richard Noble regarding the progress of the alternative to the Narrows Project Dam, Water Conservancy District Board Chairman Ed Sullivan declared that the Narrows dam and reservoir are very nearly “dead” and the board will go forward with the water diversion alternative. The report took place at the most recent meeting of the Water Conservancy District Board on Thursday, March 16. Noble, the principle in the engineering firm Hansen, Allen & Luce, Inc., has been working with the Water Conservancy District for years trying to get Sanpete County’s water from the top of the Wasatch Plateau to the valley. Last November, Noble showed the board a plan that had the potential to bypass all the hurdles and red tape they had gotten from federal agencies and lawsuits from other counties. The plan was to divert the water flowing in Gooseberry Creek, to which Sanpete County has already established its rights, through a tunnel dug from the plateau to Cottonwood Creek, and from there to the Sanpete Valley. Noble claims the diversion plan has the advantage that all of the project would be on private property, and would not be subject to EPA or U.S. Army Corp of Engineer approval. “We’ve made a fair amount of progress since out last meeting,” Noble said. Noble showed the board the results of a ground water investigation that his firm had made. He stated that they wanted to find a location to store the water diverted from the plateau. The ultimate aim would be to divert the water to locations in the valley, and then drill wells nearby where they could withdraw the water. Noble says his firm studied geology in the areas near where the water could be stored, looking for areas where the soil is more permeable and nearby existing diversion ponds (so as to avoid EPA oversight). They reportedly found 10 locations, mainly east of Mt. Pleasant and Spring City, with possible well sites downhill and just west of both towns. Noble says the study showed that the water could be successfully diverted and harvested without affecting the water tables in those areas. Noble then discussed revisions to the earlier plan, to take into account the difficulties posed by topography and service. First, Noble talked about the problem of digging a new tunnel. He noted that any excavation project carried risks with it and that he had speculated that the project would be improved if they could use an existing tunnel near the proposed project area. The plan was modified so that there would be three diverting structures, not two. Also, while two of the diverting structures could use gravity to transport the water, one of them would have to pump the water to the tunnel. According to Noble, all of the project (except for 0.6 miles of water ditch) would be on private property and not subject to federal oversight. The amount of water harvested would be 3,200-acre feet, versus the possible 5,200-acre feet that a dam and reservoir might provide. Sullivan was quick to point out that a dam would only provide that much water if it were big enough to allow for two dry years storage. If it weren’t that big, the amount of water that could be harvested would probably be the same as the diversion alternative, he said. In regards to the matter of how the project would have electrical power to run the pumps, Noble says he found that there was a corridor of private land running from Mt. Pleasant to the plateau. Noble theorized that having private property owners pay for new connection fees would help defray the cost of building a new power line to the site. Noble also emphasized that this project would not affect Gunnison Reservoir in any way. Sullivan, in response to a question about the status of the dam and reservoir project, stated, “If the state water engineer approves the diversion project, then the dam is dead.” The board voted to continue with Noble’s efforts to develop the alternative project. MANTI—The Sanpete County Planning Commission received an update from a consultant on the Sanpete County Resource Management Plan (RMP) and continued discussion on the “buffer zone” issue. Shannon Ellsworth of Rural Community Consultants, the firm helping the county develop the RMP, reminded the planning commissioners that the deadlines for submission of the plan to the Sanpete County Commission was fast approaching. Ellsworth told the commissioners the final RMP would be up for their approval at next month’s meeting. Therefore, any changes or comment by the commissioners needed to be completed within the next three weeks. After approval by the Planning Commission, the RMP would be set for public hearing in May. Once that was completed, the RMP would be sent to the county commission for approval in June. Ellsworth reminded the commissioners that by law the RMP had to finalized and sent to the Utah Legislature before the end of the fiscal year on June 30. In the discussion on buffer zones, Loren Thompson, commission chairman, challenged the members to create a definition of “buffer zone” before next meeting, so when the commissioners meet and talk with various city councils, there will be a framework to move the discussion forward. Commissioner Leon Day reminded the commissioners that annexation plans that the commission was asking from the cities was something that the cities were supposed to have already compiled as per state law. Thompson agreed, but noted that the state had made that requirement at least 12 years ago, and many of the plans may be out of date. “We are asking them to re-evaluate” their annexation plans, and then consult with the Planning Commission, he said. 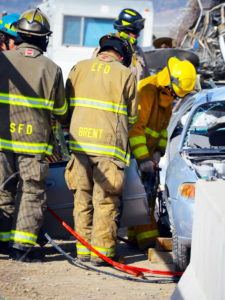 During the regional fire school held last weekend by the Sanpete County Fire District and the Utah Fire and Safety Academy, Sanpete firefighters learned techniques like extrication, the emergency automobile removal technique shown in this photo. EPHRAIM—A Sanpete County Regional Fire School was held last weekend to help local firefighters become more properly trained to handle the demanding job of fire and rescue operations. 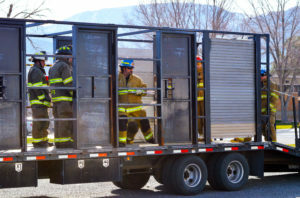 The training course, which lasted all day Friday and Saturday, was a cooperative effort between the Sanpete County Fire District and the Utah Fire and Safety Academy, says Nick Lyon, fire district chairman. 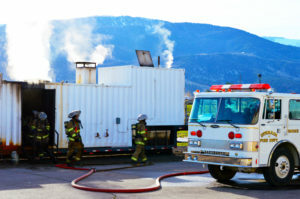 “This is to introduce our local firefighters with specific hands-on training, to get them more familiar with techniques like extrication, flashover training, forcible entry, fighting fires and other techniques that will help them protect themselves and others,” said Raleigh Bunch, Utah Fire and Safety Academy region program manager. Bunch says the school consisted of a mix of classroom learning and hands-on training exercises. “Our rapid intervention class teaches our firefighters how to help themselves get out alive if they get trapped in a burning building,” said Bunch, regarding one of the multiple class offerings at the regional fire school. The forcible entry training class held at the regional fire school last weekend taught firefighters from all over the county how to effectively and quickly gain entry into a locked or blocked door. Firefighters use a “flashover box” to help acclimate local firefighters to what it’s like being in a burning building when the fire flares up. David and Beverly Call of Marinette, Wisconsin, are happy to announce the marriage of their son, Spencer Enoch Call, to Cleo Mary Arnoldsen of Ephraim on Saturday, March 25, 2017 in the Manti LDS Temple. Cleo is the daughter of Eric and Juli Arnoldsen of Ephraim. A reception will be held from 4-6 p.m. that afternoon at the LDS church at 765 S. 100 E. in Ephraim. Spencer is attending Snow College, and then plans on becoming an optometrist. Cleo graduated from Utah State University with a degree in math, and is teaching math at the Gunnison Valley High School. 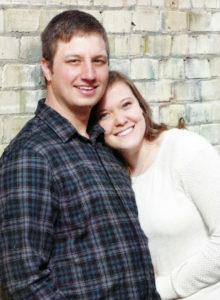 Eric and Misty Andrus of Paradise, Utah are happy to announce the marriage of their daughter Taylor Brooke, to Caleb Sherman Poulson, son of Roger and Robyn Poulson of Fairview on Thursday, March 30, 2017 in the Provo City Center LDS Temple. 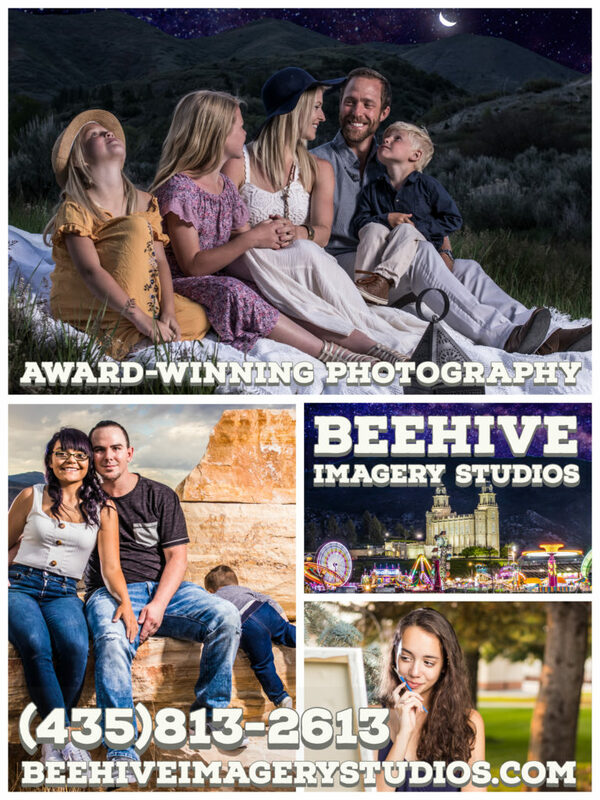 There will be a reception that evening from 6:30-8:30 p.m. at the Fairview LDS chapel, 131 E. 100 N. Another reception will be held April 16, from 6-8 p.m. at the Hyrum Civic Center, 83 W. Main, Hyrum, Utah. Taylor recently served an LDS Mission to the North Dakota Bismark Mission, graduated from Snow College, and will attend Utah Valley University to continue her schooling. Caleb served an LDS Mission in the Tennessee Nashville Mission, attended Snow College, and will also be furthering his education at Utah Valley University. 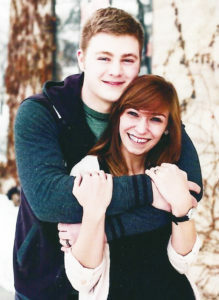 The couple will make their home in Provo. Burla Shurtz Chappell, a woman of grace and beauty, interwoven in our hearts, left this mortal world and joined her beloved husband on March 13, 2017 in Gunnison, Utah. 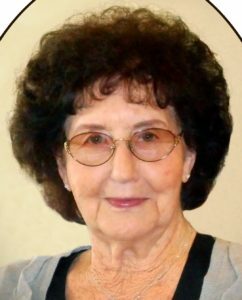 Burla will be remembered by friends and family for the exemplary life she lived as she served and loved all she knew with her kind and gentle disposition. Burla was born Jan. 26, 1931 in Salina, Utah the fourth child of Ellis and Adelaide Shurtz. Burla loved growing up in Salina with an older sister and two older brothers. Her hard work ethic led her to Fish Lake Lodge where she met her eternal companion Wendell Holden Chappell. They were married Feb. 22, 1949 in the Manti LDS Temple and made their home in Lyman, Utah. She was a model mother to four and devoted her life to them and her husband. Wendell passed away Aug. 5, 2015. Burla was known for her outstanding cooking, needlework, crocheting, and musical abilities. She was dedicated to her church callings and served an LDS Mission in Canada, as well as a temple mission at the Manti Temple for eight years. A beautiful lady of grace, an example of love, service and devotion to her family throughout her life, she was truly an elect lady. Burla is survived by her children: Beth and Kirtley Jensen, Alice and Bruce Christenson, all of Gunnison; Douglas Chappell of High Level, Alberta, Canada; Jeanette and Dan Taylor of Bicknell; 16 grandchildren and 34 great-grandchildren. Preceded in death by a son-in-law: Joe L Christensen; Parents; Brothers Garland Ellis Shurtz; Kenneth Vard Shurtz; Sister Fern Shurtz Pace; and her husband, Wendell. Funeral services were held Saturday, March 18, 2017 in the Lyman LDS Ward Chapel. Burial was in the Lyman Cemetery under the care of the Springer Turner Funeral Home of Richfield and Salina, Utah. Online guest book at: www.springerturner.com. Allen B Lowe, born July 8, 1945, passed away peacefully March 19, 2017 surrounded by family and friends. In 1972 he married Barbara Riding White in the Provo LDS Temple. Together they had six children, one who passed away in infancy. They later divorced in 1987. In July 29, 1995 he married Maria G. Acevedo for time and all eternity in the Salt Lake LDS Temple. Allen was an active member of The Church of Jesus Christ of Latter-day Saints. He served a mission in the Northwestern States Mission. He served for five years as an ordinance worker in the Manti Temple until health issues prevented further service. 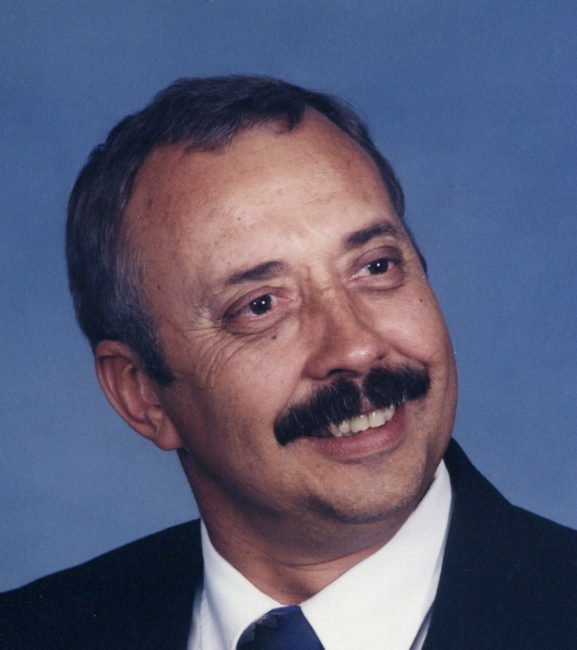 He worked as a draftsman and in the construction industry where he designed many homes in the Utah County area. Allen is survived by his wife, Maria G. Lowe, children: Nathan, Joe, Merrill, Barbaradell and Shirl; sister, Lunell. He was preceded in death by his parents Joseph Merrill and Lucille Jensen Lowe, several siblings; son, Samuel and niece Calleen. Funeral services will be held on Saturday, March 25, 2017 at 1 p.m. in the Ephraim YSA 2nd Stake Center, 571 East 100 North. Friends may call prior to services from 11 a.m. – 12:30 p.m. Interment will be in the Manti City Cemetery. 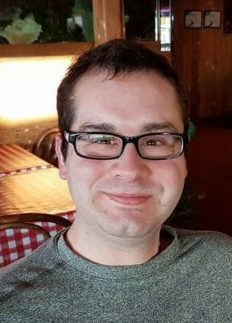 David Jeremiah Wade passed away peacefully at home surrounded by his family and a few close friends at 5 p.m. on Friday, March 10, 2017. He was 25 years old. David was known by many and loved by all. He was a very friendly young man, fully engaging all those that he came into contact with a warm hello, a bright smile and genuine concern for each of them. He had a wonderful sense of humor and quick wit. He loved making others laugh and smile. He was very conscientious and diligent with his long list of daily activities, including exercises and stretches. He enjoyed going to the movies and attending game night with a Meet up group in Boise. He loved spending time with family and friends. He was a great poker player and loved his poker friends. David was born on July 13, 1991 in Manti, Utah. He attended Manti Elementary School for two years before moving to Boise, Idaho in 1998. In Boise, he attended Cecil D. Andrus, River Valley and Ustick Elementary Schools. He lived in Vacaville, California attending Foxboro Elementary School for one year. The family returned to Boise in 2002 where David attended Lewis and Clark Middle School. David graduated from the Young Marines in 2004, and graduated from Mountain View High School in 2009. He completed two years of college at CWI. David spent several summers at MDA camp where he met many wonderful volunteers and made so many new friends. He made many long-lasting friendships, rubbing shoulders with some of God’s choicest kids, fantastic firefighters and many other great volunteers. These counselors connected with each of the kids and continued to nurture the relationships long after those days of camp. David played baseball in elementary school along with his brother Daniel. They rode bicycles together, made tree forts and enjoyed a couple years of boy scouts together. David was also blessed to have taken an Alaskan cruise with his family through the Make-A-Wish organization, and he cherished these memories. David loved to travel exploring parts of France, Italy, Mexico and many of the United States! David loved to camp, hunt and fish, enjoying our many camping trips exploring every chance we got. David chased Pokémon’s every chance he could and loved every minute he spent in search of those funny creatures. David leaves behind his parents, David R. and Debra Wade; brother, Daniel Wade; sisters: Tiffany (Aaron) Lemesany, Shelly (Lance) Wade, Katie Wallington, Julie Wade and Jessica Wade; grandmother Odette Wade, Florida; aunts: Linda (Steven) Holler, Meridian, Idaho; Barbara Vecchio, Florida, Eva (Jim) Vest, Alabama; uncles: James (Linda) Kiesner, South Carolina; nieces: Makenzie McCall, Mallorie Wallington, Aubree Lemesany, Boise, Idaho, nephews: Ethen McCall, Utah, Riley Noteman, Boise, Idaho; cousins: Michael Carroll, Tim Carroll, Annie (Chris) Carroll-Coffman, Calif., Jessi Holler, Idaho, Chloe Vecchio, Florida, Austin Vecchio, Michigan; Jack Vest, Alabama; Matthew Kiesner, Georgia. David was preceded in death by his big brother Kenny who passed away June 5, 2003; grandfathers: Thurman L. Wade, Kenneth R. Kiesner and grandmother, Betty L. Kiesner. A Celebration of Life will be held for our beloved son on Saturday, March 25, 2017 from 1-3 p.m. at The Church of the Rock, 903 6th St. N., Nampa, Idaho. Remembrances may be left for the family at www.AccentFuneral.com. In lieu of flowers please feel free to donate to the Make-A-Wish Organization in David’s name: 310 W Idaho St, Boise, Idaho 83702. Pictured from left are Nate Thomas, Anna Johnson, Tyler Boylan and Keston Thompson. The Manti High students have given up most of their Saturdays since October to travel to Utah Valley University to practice as part of the Utah Valley Youth Symphony Orchestra. OREM—Since early October, four Manti High School (MHS) students have given up most of their Saturdays to travel to Utah Valley University to practice as part of the Utah Valley Youth Symphony Orchestra. Nate Thomas, Anna Johnson, Tyler Boylan and Keston Thompson responded to an invitation from Utah Valley Youth Symphony Orchestra Director Kameron Conley to participate after he visited their band classes at the request of MHS band teacher Brian Sullivan. All four are part of Philharmonia, which is considered the premier ensemble. Thomas is also a member of the youth symphony. Thomas, Boylan and Thompson are seniors. Johnson is a sophomore. The combined symphony practices every Saturday from 8:30-11:30 a.m. and members can miss no more than three rehearsals for any reason. Performances have included a concert at the Covey Center for the Arts in Provo and the Youth Symphony Festival on March 13. 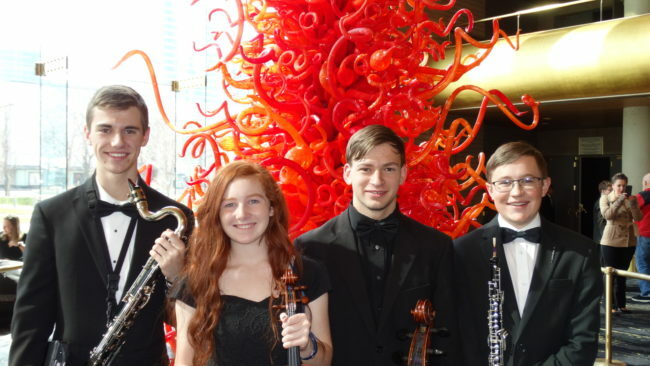 The four will finish up rehearsals April 15 and Youth Symphony Orchestra spring concert will be held April 17 at the Covey Center for the Arts. A San Francisco tour is planned for late-June/early July.